Massachusetts has detailed rules related to the establishing of a condominium and the responsibilities of all parties involved, including the board, the owners of individual units, and their tenants. 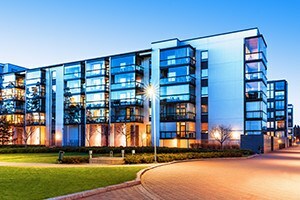 Condominium owners and other interested parties can find these rules in the Massachusetts Condominium Act, Chapter 183A of the General Laws of Massachusetts. At Pulgini & Norton, our real estate lawyers have experience advising Boston residents of their rights and obligations under this law. The rules found in the Massachusetts Condominium Act include mandatory provisions that must be included in the bylaws, interests in common areas of the condominium, and expenses incurred by the unit owners' association. The provisions also explain the fundamental attributes of a condominium. Under Section 3, for example, each unit of a condominium, along with its undivided interest in common areas and facilities, is considered real estate that can be gifted, mortgaged, or passed along by the laws of descent and distribution. Every unit owner is entitled to exclusive ownership and possession of the unit, but no unit can be devoted to a use that is prohibited in the master deed. Each unit owner is required to permit access to the unit during reasonable hours in the event that the association needs to access the unit to maintain, repair, or replace common areas. Each unit is also required to comply with bylaws and administrative rules and regulations that are adopted by the board. Under Section 6, all common expenses must be assessed against units either according to the unit owner's respective percentage of undivided interest in the common area and facilities or according to the approximate relationship that the unit area bears to the aggregate area of all units. The calculation can include a consideration not only of area but also of amenities and the location of the unit. The condominium board may need to make repairs or replace various aspects of the unit. Generally, the unit owners must contribute to expenses through a common expense assessment. The unit owners' organization gets a lien on the unit for common expense assessments from the time any assessment becomes due. These assessments need to be made at least annually, based on a budget adopted at least annually in accord with the master deed, bylaws, or trust. Similarly, if the unit owners' organization incurs expenses because one of the owners does not follow the rules of the Massachusetts Condominium Act or the master deed, by-laws, trust, or restrictions, the organization can assess the expense exclusively against the unit owner. A condominium organization is entitled to assess to each unit owner any direct costs of energy conservation devices that are installed in a unit. For example, the installation of separate water meters, faucet aerators, or storm windows can be assessed to the unit owner in whose unit these have been installed. Condominiums are popular in Massachusetts. Whether you are establishing or buying a condominium, you should retain an attorney familiar with the many requirements of the Massachusetts Condominium Act. At Pulgini & Norton, our property transactions attorneys understand the condominium conversion process and the rights of individuals who are living in a Boston condominium. We also represent clients in other nearby cities, including Malden, Medford, and Brookline. Call us at 781-843-2200 or contact us via our online form for a consultation.